In August 20, 2018 Greece officially comes out from the eight-year bailout programs. The decision of the Eurogroup on June 21 confirmed this very positive development, while significant debt relief measures were adopted, paving the way for Greece’s new era over the next 15 years, strengthening the credit and fiscal state of the Greek economy and facilitating the safe exit in the markets and the recovery of the Greek economy, after a long and painful period of recession and turbulence. Beginning from next month, the country enters into a new period. The Greek government has as key priorities the following targets: increasing investments, reducing unemployment and strengthening the labour market, gradually decreasing social and income inequalities in the context of a sustainable growth program, based on sound public finances. The broader goal is to put the economy back on track and move on with its own capacity, avoiding the mistakes and mismanagement of previous governments that have damaged the domestic market. This is why good and effective coordination is needed, keeping up with the great effort that started back in January 2015 while forging winning strategies at national and European level. Greece has a clear corridor for the coming years and there is a big opportunity to profoundly change the failed and disastrous economic model of the past. At the same time, we need to support small and medium-sized enterprises, make our workforce thrive and manage to tackle and overturn brain-drain. At the same time, in foreign policy, the Greek government has managed to achieve a beneficial and historic agreement for the country in the Macedonia name dispute, after decades of erroneous manipulations that have weakened our national interests and our positions. The Tsipras-Zaev agreement, if finally ratified by the national parliaments of both countries, can not only improve our bilateral relations, but it can also contribute to the dynamic development of multilateral co-operation in the Balkans, strengthen regional peace and security, and stimulate local economies and markets. In these major issues, the stance of ND and the leadership of centre-left Movement for Change (KINAL) is completely disappointing. Adopting a ruinous, short-sighted approach, both Kyriakos Mitsotakis and Fofi Gennimata pretend not to see the positive developments of the Greek economy, being totally isolated within their own political groups in Europe. Both ND and PASOK are pouring out a propaganda of a supposedly fourth bailout program, spreading fake news as they realise that they are not themselves who have managed to end the country's downfall. Similarly goes for those parties on the Tsipras-Zaev agreement on Macedonia name dispute as they continue to bid in nationalist frenzy. New Democracy party has clearly embraced a far-right rhetoric, in the footsteps of Salvini and Orban, working hand-in-hand with FYROM’s nationalist former PM Gruevski and President Ivanov. In this context, with the front opposition and the so-called center-left party of Fofi Gennimata boycotting every positive step of the Tsipras government, the political battle in Greece and Europe takes new, distinct features. Left-wing and progressive forces aim at changing the political balances and push for the emergence of an alternative and sustainable growth model for Europe, for more strengthened mechanisms of democratic accountability and solidarity. On the other hand we have the surge of the ultra-conservative and far-right forces of austerity and “fortress-Europe” that vie for the return to nationalisms, constantly moving away from the founding principles of the European establishment. The political challenges ahead of May 2019 European Elections have specific characteristics and form concrete dynamics. European citizens are called to decide in which Europe they want to live, what future they want for themselves and their children. 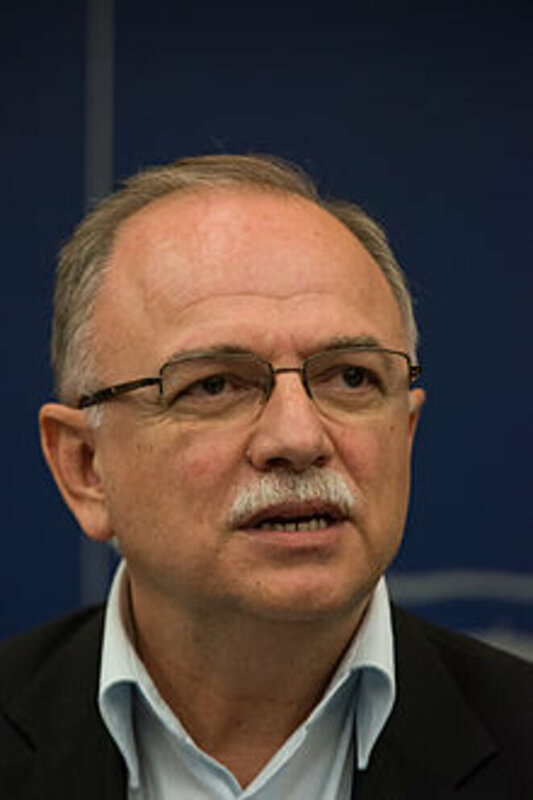 *Dimitris Papadimoulis is Vice-President of the European Parliament, head of SYRIZA party delegation.